A conference sponsored jointly by the American Friends Service Committee and Pendle Hill. Financial aid may be available, and organizers who are interested in attending but for whom finances would be a barrier to participation are particularly encouraged to apply. If you are seeking funds to participate in this program, click to review and complete our Financial Assistance Application and a Pendle Hill staff member will follow-up with you shortly. Thank you for your interest. 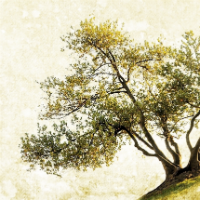 Join the American Friends Service Committee (AFSC), the Quaker Palestine Israel Network (QPIN), and Pendle Hill for a weekend of exploring what it will take to realize a just and lasting peace in Palestine and Israel. AFSC and Quakers have been engaging in Palestine for over a century and working for peace with justice since 1948. After decades without change, we want to open up a conversation about what is needed for a just future. It has been 70 years since the 1948 war, when over 750,000 Palestinians were forcibly displaced and the State of Israel was born. It has been over 50 years since Israel occupied the West Bank and Gaza, gaining control of all of historic Palestine. It has been 25 years since Yasser Arafat and Yitzhak Rabin shook hands on the White House lawn at the start of the Oslo Peace Process. But 25 years after the start of what was intended to be a five-year peace process, we must start questioning that framework. Why hasn’t peace yet been achieved? What paradigm shifts are needed to bring change? What are the historic injustices that need to be righted, and what might it look like to address these issues in the present? What actions can people outside of the conflict take to promote change? Give and receive support as you continue to work towards change after the conference. “Naila and the Uprising,” a story of love, family, and freedom directed by Julia Bacha, will be shown on Saturday evening, December 15th. Free and open to the public! Click below to watch the trailer. Ali Abdal Bari lives in Gaza where he works as AFSC’s Gaza Program Coordinator. Ali is a social activist, volunteering with a variety of groups and campaigns including Yaraat at the Tamer institute, the Sharek Youth Forum, and Mitharkeen for Palestine. He has worked with a variety of local and international organizations in Palestine on social and economic development programs and leading advocacy campaigns. Ali holds a Bachelor’s Degree in Information Systems and is currently pursuing a masters degree in Economics at Al Azhar University in Gaza. Walaa Al Ghussein is from Gaza, Palestine. She earned her undergraduate degree in Education from Al-Azhar University in Gaza City. While in Gaza, Walaa worked as a reporter and fixer/translator for international news agencies. She has been published in Al-Jazeera English, Mondoweiss, and International Business Times and others. Walaa is currently an MA student at the Middle East and Middle Eastern American Center (MEMEAC) at City University in New York. Her research focuses on the intersection between the media and elite in Gaza during the British Mandate era. Rae Abileah is a social change strategist, author, editor, and advocate for collective liberation and economic justice. For over fifteen years she’s worked with nonprofits and social movements, from volunteer to executive director, and she now runs her own consultancy, Create Well (www.raeabileah.com). 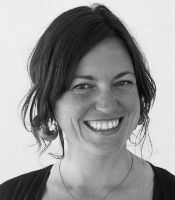 She is a trainer and contributing editor at Beautiful Trouble, and is the co-creator of the global Climate Ribbon storytelling art ritual project. Rae is currently serving her second term on the West Region Executive Committee of the American Friends Service Committee (AFSC). She was the co-director of CODEPINK Women for Peace for nearly a decade, followed by a two-year tenure consulting on digital strategy for social justice causes at ThoughtWorks. Rae is a contributing author to numerous books including Beautiful Trouble: A Toolbox for Revolution and Beyond Tribal Loyalties: Personal Stories of Jewish Peace Activists. She has co-led delegations to Palestine with Eyewitness Palestine, CODEPINK, and Global Exchange. Rae is a first-generation American; her matrilineage is Dutch and Belgian and her patrilineage is Israeli and Eastern European/Ashkenazi Jewish. Her ancestry informs her relationship to war and oppression, and her actions toward dismantling white supremacy. Rae graduated from Barnard College at Columbia University with a dual degree in Environmental Science and Human Rights, and received ordination by the Kohenet Hebrew Priestess Institute. She’s based in the Colorado Rockies, and frequently travels to California & New York. @raeabileah. Jehad Abusalim is from Gaza, Palestine where he lived for most of his life. In Gaza, Jehad finished his undergraduate degrees in administration and Hebrew language from Al-Azhar and the Islamic Universities. He volunteered and worked with a number of youth groups, initiatives, and civil society organizations in fields related to youth and women empowerment, popular education, Palestinian national reconciliation, and advocacy against the siege on Gaza. His writings appeared in al-Jazeera English, Mondoweiss, Palestine Square, and Vox. Jehad recently contributed to a book on Gaza titled Gaza As Metaphor. 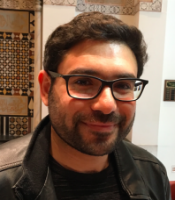 Jehad is currently a Ph.D. student at the History and Hebrew and Judaic Studies joint program at NYU, where he studies Arab and Palestinian intellectual history in the first half of the twentieth century. He focuses on intellectual and journalistic writing in Arabic about the plight of the Jewish people in Europe and the Zionist project. 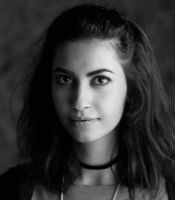 Hanna Alshaikh is a recent graduate of the University of Chicago’s Center for Middle Eastern Studies (CMES). Her research focus was on social and intellectual history in late Ottoman Palestine, writing a thesis on the autobiography of Palestinian educator Khalil Totah, and what his recollections of childhood reveal about modernity in Palestine and earlier manifestations of a US-Arab encounter. Hanna is an adjunct professor at DePaul University. She was also a research fellow at American Friends Service Committee, researching the local Palestinian disaporic community. 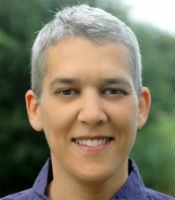 Dalit Baum, Ph.D., is the co-founder of Who Profits from the Occupation, and of the Coalition of Women for Peace in Israel. 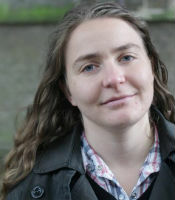 Dalit is a feminist scholar and teacher, who has been teaching about militarism and about the global economy from a feminist perspective in Israeli and American universities. She has been active with various groups in the Israeli anti-occupation and democracy movement, including Black Laundry, Boycott from Within, Zochrot, Anarchists against the Wall, and Women in Black. Dalit has headed the Economic Activism for Palestine Program of Global Exchange. She has worked for AFSC in the San Francisco office since 2013 and currently serves the organization as Director of Economic Activism. 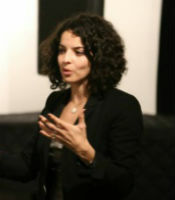 Nadia Ben-Youssef is the Director, Adalah Justice Project and a lawyer and human rights advocate. She has worked with Adalah since 2010, coordinating international advocacy on behalf of the Bedouin community in the Naqab, and then serving as Adalah’s first U.S.A. Representative from 2014-2016. As an outgrowth of her work in the U.S., the Adalah Justice Project (AJP) was launched in February 2017 as a fiscally-sponsored project of the Tides Center. Adalah will partner with AJP in the U.S. on public education and awareness-raising initiatives seeking to influence American policy and practice on Israel/Palestine. Much of her work in the U.S. has focused on building a transnational movement against supremacy and state-sanctioned violence together with cause lawyers, community organizers, and artists across diverse movements for social justice. Nadia is a member of the New York State Bar, and holds a B.A. in Sociology from Princeton University, and a J.D. from Boston College Law School. 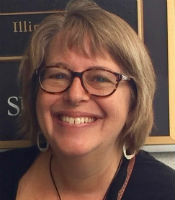 Jennifer Bing has worked with AFSC’s Palestine-Israel Program since 1989. Based in Chicago, she organizes events, speaking tours, exhibits and trainings, and coordinates AFSC’s education and advocacy work on the campaign Israeli Military Detention: No Way to Treat a Child and contributes to the Gaza Unlocked Campaign. In this role, she works closely with faith organizations and human rights groups throughout the U.S. 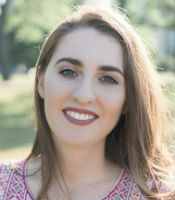 Prior to AFSC, Jennifer worked as a volunteer teacher at the Ramallah Friends School in the West Bank, as a researcher on child rights with Save the Children, and a coordinator of seminars with Gene Sharp and the Program on Nonviolent Sanctions at the Center for International Affairs at Harvard University. Jennifer is a Quaker and an active member of the Quaker Palestine Israel Network. 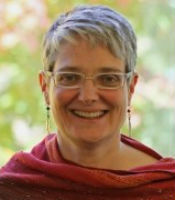 Lucy Duncan serves as Director of Friends Relations for AFSC. She blogs, organizes Quakers to work for justice, and has helped create AFSC’s Sanctuary Everywhere stream of program work. 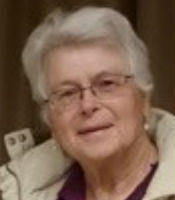 She has been instrumental in the adaptation of Quaker social change ministry as a tool for reclaiming Spirit-guided social change work focused on companioning those most impacted by injustice. She is a founder of the Quaker Palestine Israel Network and serves on the steering committee. She has written on Palestine for AFSC at the blog she edits, Acting in Faith, and for Mondoweiss. With her partner, Sy Biswas, she hosts a monthly abolitionist salon in Philadelphia. She has been a storyteller for 20 years and has worked with Quaker meetings on telling stories for racial justice and of spiritual experience. Before working for AFSC, she was Director of Communications at FGC, managed QuakerBooks of FGC, and was a member of a storytelling troupe, The Five Bright Chicks. She is a member of Green Street Friends Meeting (PhYM) and is the proud mom of a 16 year-old son. Nancy Gallagher is a research professor of history and professor emerita at the University of California, Santa Barbara. She received two MA degrees, in African studies and history, and her Ph.D. in history from UCLA. She is past president of the Association for Middle East Women’s Studies and past co-editor of the Journal of Middle East Women’s Studies. From 2011 to 2013 she served as the University of California Education Abroad Program Study Center Director for the Middle East and taught at the American University in Cairo. From 2013 to 2018, she was co-clerk of the Afghan Girls Schools Committee, Orange Grove Monthly Meeting, which supported two schools for 600 girls in Peshawar, Pakistan. She currently serves on the executive committees for California Scholars for Academic Freedom and Scholars at Risk, UCSB chapter and co-chairs the Oral History Committee of the Association for Middle East Women’s Studies. Her books include Quakers in the Israeli-Palestinian Conflict (American University in Cairo Press, 2007); Femmes, Cultures, et Sociétés au Maghreb, co-edited with Rahma Bourqia and Mounira Charrad (Casablanca: Afrique Orient, 1996); Approaches to the History of the Middle East: Interviews with Leading Historians (Reading: Ithaca Press, 1994; paperback edition, 1996); Egypt’s Other Wars: Epidemics and the Politics of Public Health (Syracuse: Syracuse University Press, 1990, pp. xiii + 234; paperback edition, American University in Cairo Press, 1993. ); and Medicine and Power in Tunisia, 1780-1900 (New York: Cambridge University Press, 1983), pp. xii + 145. Paperback edition, 2002, digital edition, 2011. 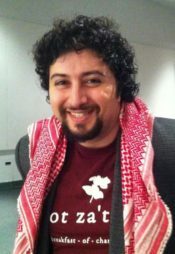 Dawood Hammoudeh currently works as AFSC’s Palestine Program Director. 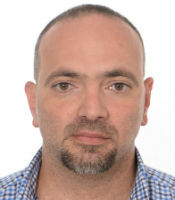 Dawood is an activist and researcher from Jerusalem, focusing on the economic impacts of Israeli, PA, international, donor, and private sector policies and practices in Palestine. He also works to train youth on how to build linkages between economics, geography, rights, and peacebuilding in the Middle East Region. 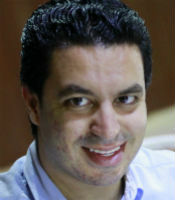 Andrew Kadi is an organizer and Steering Committee member of the US Campaign for Palestinian Rights. Kadi is a blogger at the Electronic Intifada, a member of Al-Shabaka: the Palestinian Policy Network, and has written for or appeared in The Guardian, USA Today, The Forward, TRT, CityLab, Mondoweiss, and the BBC. He has been active for the past 16 years in support of Palestinian rights, mobilizing at the grassroots level and organizing digital campaigns, challenging mainstream media coverage, and harnessing popular education approaches to raise awareness and advocate change. 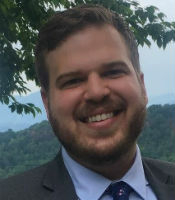 Geoffrey Levin is a Ph.D. candidate and 2018-2019 AJS Dissertation Completion Fellow at New York University’s Department of History and Skirball Department of Hebrew and Judaic Studies. His research examines the emergence of Palestinian rights as an issue in American Jewish politics during the first three decades after 1948. The project uses the stories of the Jewish activists, academics, and communal professionals most involved with the Palestinian question as a lens for exploring the evolution of the America-Middle East relationship more broadly. Originally from Chicago, Levin’s time in the Middle East and close friendships with people from the region drove his interest in his research topic. 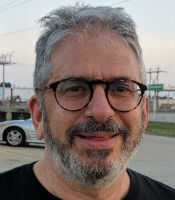 Levin’s academic articles include “Arab Students, American Jewish Insecurities, and the End of Pro-Arab Politics in Mainstream America, 1952-1973,” which appeared in Arab Studies Journal and “Liberal Whispers and Propaganda Fears: The American Jewish Committee and Israel’s Palestinian Minority, 1948-1966,” published in Israel Studies Review. Research for the latter article led Levin to first contact Don Peretz (1922-2017), the subject of his presentation. Prior to Peretz’s employment with the America Jewish Committee, Peretz spent 1949 volunteering with the AFSC’s mission in Acre and undertook the first scholarly study on the Palestinian refugee issue ever published in English. 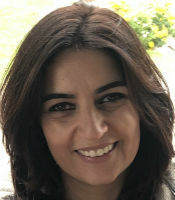 Suha Salman-Mousa is a Mossawa Center representative in the US. Before that she was Mossawa’s Civil Society Coordinator, where she worked on collaboration and joint projects between the Mossawa Center and local NGOs. She earned a Bachelor degree in Business Administration for Executives, and a MBA degree (non-profit organizations) from Haifa university. Over the years, she fulfilled multiple leadership and management roles in a variety of businesses, including corporates, venture capital firms, and startups. Recently, she led an initiative to establish “Friends of Mossawa” in the US and represents the Mossawa center there. The objective behind “Friends of Mossawa” is to allow proponents of the rights of the Palestinian-Arab minority in Israel to organize at an international level. “Friends of Mossawa” will work to raise awareness and educate the public about the Palestinian community in Israel and the challenges facing it in light of recent events, such as the Jewish Nation State law. Steve Tamari is clerk of the Quaker Palestine Israel Network. He is a member of St. Louis Monthly Meeting and works as a teacher and historian of the Middle East. Sahar Vardi is a Jerusalem-based activist. She publicly refused her military service and was imprisoned in 2008. Since then she has been active with Israeli anti-militarist groups such as New Profile and today works as the Israel Program Coordinator for the American Friends Service Committee based in Jerusalem. Today most of her work focuses on the militarization of Israeli society, both around issues of conscription as well as Israel’s military industry and export. Much of her activism is in Jerusalem in Palestinian-led struggles against house evictions and demolitions, child arrests, and discrimination of East Jerusalem. For more information, please contact Lina Blount at 610-566-4507, ext. 122 or lblount@pendlehill.org.